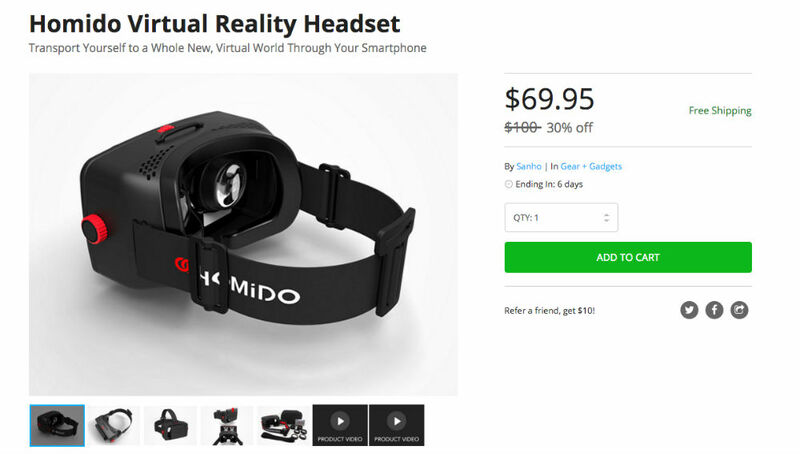 Available through the DL Deals Store, you can pick up a Homido Virtual Reality Headset for just $69.95, down from its usual price of $100. With this VR headset, you stick in your smartphone, then open up an app that acts as a library of games, videos, and other activities you can do outside of your real, non-digital life. The headset allows you to watch 3D movies, “immerse yourself” in crowds during a concert or under the sea scuba diving, and it is wireless for ultimate portability. If you pick one up, you will need the Homido Center app, which features all of the content you will need. The VR headset is up now, and if you have a compatible device, follow the link below.